We are delighted to feature items from the range of Runaround rabbit and Guinea pig runs. Connection Kit 2 allows you to connect any hutch with any run, safely and securely. 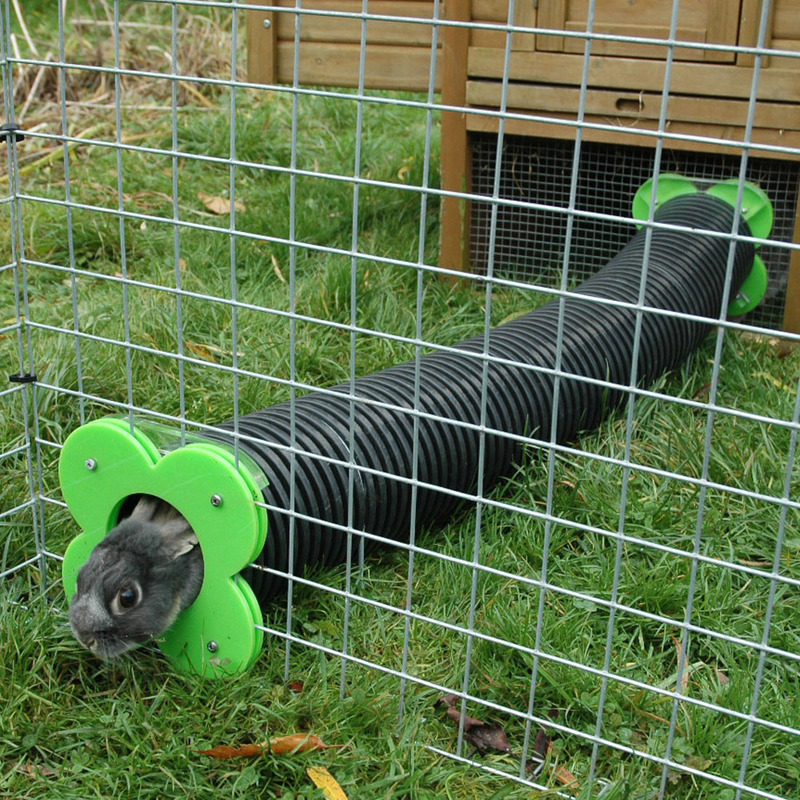 Because the direction is via a tube, you are able to vary where in your garden you position the run, so that if your pet has begun to burrow, you can move the run over and maintain security. When grass has been eaten down, you can move the run to a new part of the garden while the nibbled grass re-grows. 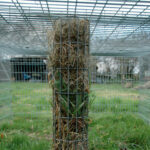 You will need to cut a 5” aperture in the wooden side or the mesh front of your hutch. In your run you need a similar hole unless you happen to have a doorway which is no more than 6-7” square. The clover shaped door covers an area of 8” square and seals any rough edges from your cut. The central hole varies from 4.5 – 5 inches. 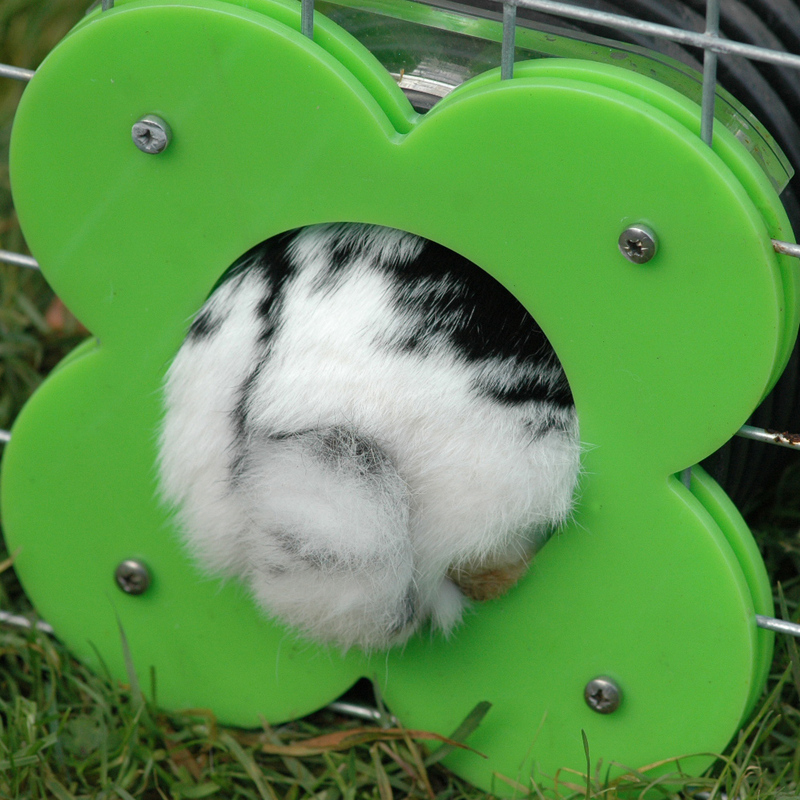 We suggest you buy this connection for small to medium sized rabbits (up to 4 – 4.5kg) as they need to make their way through the pipe and a 5kg rabbit is too big. 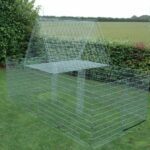 The doors supplied both have closing panels and can be flexibly fixed if preferred so that the pipe can be removed easily. Wood and mesh fixing options are included. Wood fixings allow for 15mm. If you have a thicker wall then please email your requirements.